Parents with creative youngsters often find themselves in search of kids crafts to make scented stickers. Buying enough stickers to keep a child busy with his or her art projects can get very expensive. However, it's easy to make stacks of homemade stickers for just pennies per sticker! To begin making frugal homemade stickers, you'll need gelatin, unsweetened drink mix in the flavor of your choice, water, two small bowls, two paint brushes, wax paper, and scissors or paper punches. When choosing what images you want to use for your stickers, feel free to be creative! You can use pictures from greeting cards, magazines, coloring books, or old junk mail. If your kids like to draw, you can even have them make pictures to use as the basis for your sticker project. Dissolve gelatin in one cup water, following the instructions on the package. Use a paint brush to apply the solution to the back of the images that you selected to use. Place face down on a piece of wax paper to dry. As the gelatin dries, it will stiffen the paper and give it the adhesive texture you need for your kids crafts to make scented stickers. Prepare a cup of the drink mix. Use the paint brush to apply a small amount of the prepared drink to the front surface of the sticker. Let dry completely. To enjoy your stickers, apply a small amount of water to the back to activate the gelatin adhesive. Lightly scratch the front of the sticker to release the scent. As an alternative to this process, older children might want to try mixing one and one-half parts clear embossing powder with one part Jello, hot chocolate, Crystal Light, or Kool-Aid no sugar flavoring drink. Stamp an image with VersaMark or pigment ink, then emboss as usual. The texture is bit grainier than usual, but this is normal. Still looking for more fun kids craft ideas? 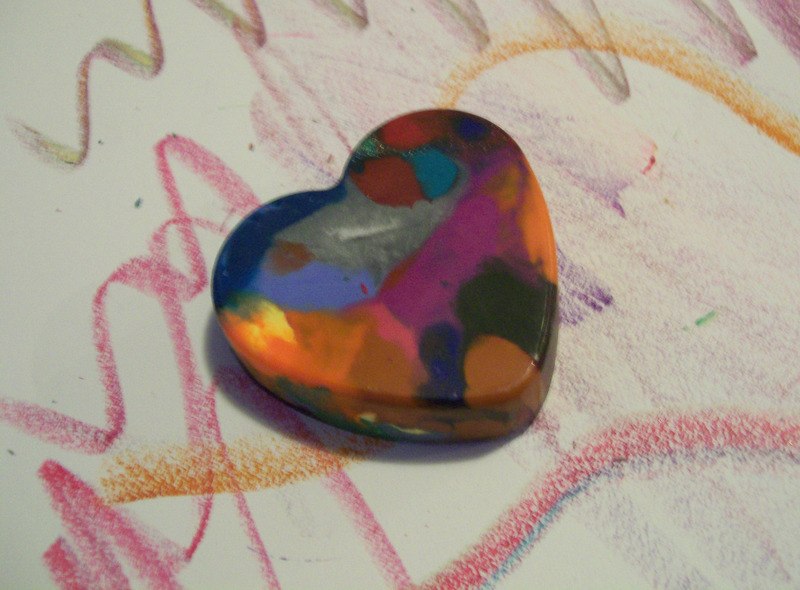 Check out our tutorial on Crayon Melting Art Projects.